Frank has DJ'd countless times since and has many events of all types under his belt. He's energetic and works hard at events to get people to dance where at times is difficult to do, such as Fire Department Banquets where many times guys outnumber women 7 to 1 and we all know the ladies are far more likely to dance than men, but Frank gets them out there and all enjoy themselves and send their praise. Frank is eager to do the same for you if hired for your event. 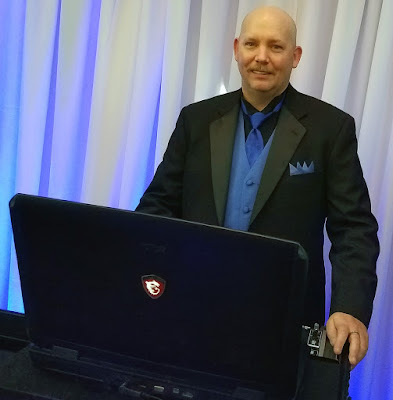 If Frank's DJ'd an event you've attended and would like to comment, please feel free to leave a review on our WeddingWire page and specify Frank in the review. I'm sure he'd love your commentary.